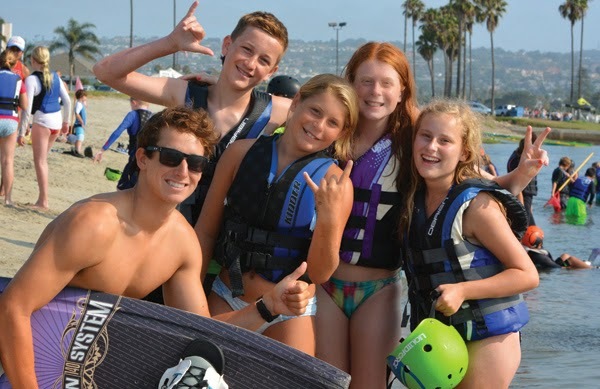 To kick off 2015 Watesports Camp style we are offering a couple of activities this month for youth ages 6-17 and their families to get out for some fun on the water! On January 10th we will be starting a wakeboarding camp that will meet from 9am-11:30am for 4-consecutive Saturdays. Based on the format of our popular Wakeboarding Development Camp, campers will stay on the boats and ride with one of our experienced instructors who will help them to advance their skills. On January 18th we are offering a Youth and Family Sail Day. Enjoy an afternoon of sailing with friends and family on one of our J-24 keelboats! This is a great opportunity to get out on the water with the whole family and enjoy a tour of Mission Bay before heading out to the ocean (conditions permitting) with your sailing instructor. At only $30 per person this is an affordable way to have a great sailing experience for the day. There are some other great opportunities for youth this spring at MBAC. To see the full list of upcoming off-season activities and to register visit www.watersportscamp.com/off-season today!